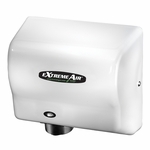 Touch-free sensor detects user's hand to automatically dispense controlled amount (0.8ml) of soap; activation range is 4" (100mm) from sensor lens. 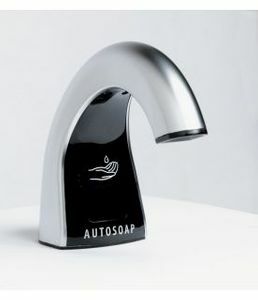 Bright-polished chrome spout cover dispenses 1000 handwashes per 800ml or 2000 handwashes per 1600ml OneShot® soap refills, requires 4 "D" Cell batteries (not included). Maximum countertop mounting thickness is 2" (50mm) and contains a spacer for use with sink rim 3/4" (19mm) or greater.